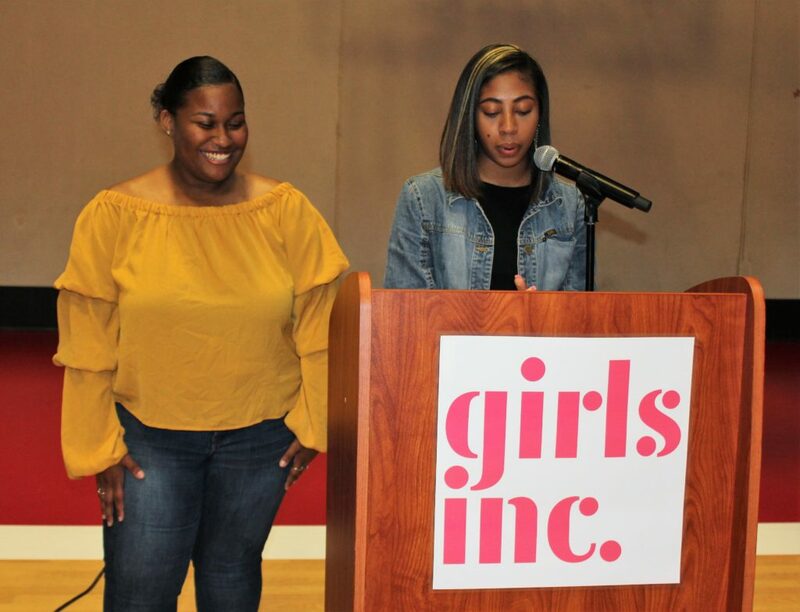 Posted on May 15, 2018 by Girls Inc.
Rajhae (L) and Mya (R) share remarks about their Eureka! experience. I have been a Girls Inc. member since I was six years old. There was really no other place I’d rather be. Girls Inc. always had fun opportunities for me as I got older. The best part of my Girls Inc. experience was Eureka! Eureka! taught me many important life lessons, like how to budget my money and more about robotics. I learned how to make my own game system with playdough. Perhaps most importantly Eureka! taught me time management and how to be professional in a job setting. Ms. Hannah and the Eureka! staff took the time out of their day to find us externship placements. They weren’t just any job; the externships were jobs that were similar to what we wanted to do after college. My first year of externships I worked at Charles Drew Health Clinic. I had so much fun being able to take vitals and cleaning rooms after the patients were discharged. I also watched [a woman] get a Pap smear! 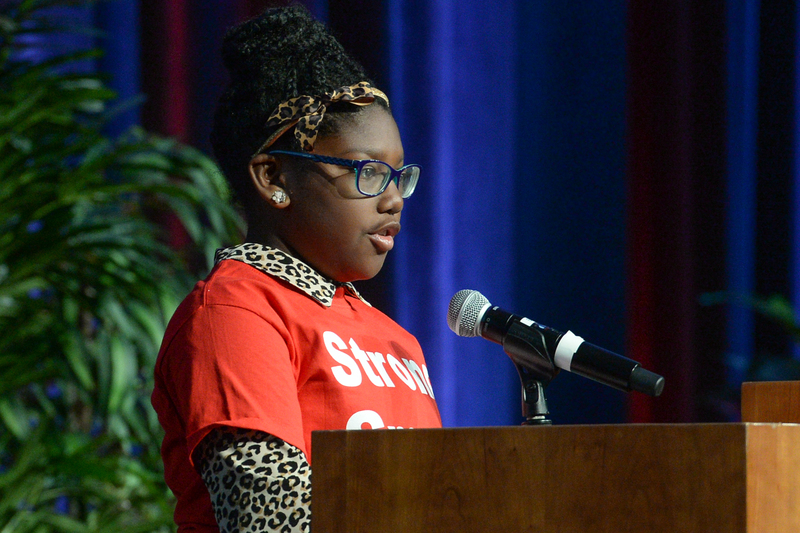 I know from my education at Girls Inc. how important those annual exams are. My second year I worked at Encor, a program for individuals with disabilities. I was able to work at the Encore center and at a location where the adults were living independently… The most fun part of the job was interacting with all of the clients. …This experience…made me want to pursue my CNA license. My plan is to start at Metropolitan Community College, and then switch to UNMC to become a Registered Nurse. Eureka! is a great program for young girls to start their journey in to life. Eureka! can help lead you in the right direction and help you make the right choices. I want to say thank you to my fellow Eurekans, and congratulations! I couldn’t have chosen a better group of young ladies to share this experience with. 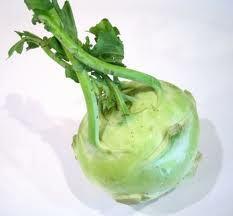 I am senior at Central High school. I started the Eureka! program as an 8th grader. I remember riding to the campus of UNO with my mom feeling a bit of resentment because it was summer and I was supposed to still be at home in the bed asleep. It was summer at 8am…this was summer school. Just like school, I learned a lot but Eureka! was different because I enjoyed the learning experiences. It helped me to discover my love for science by doing rigorous experiments. My favorite was the High-Altitude Balloon Launch when I sent a goldfish into space to study the impact of changes in temperature when leaving the earth’s atmosphere. Throughout high school my passion for science grew along with my desire to help others within the field of medicine. As a third-year Eureka! student, I was able to complete an externship at Charles Drew Medical Center. I was able to interact with patients, nurses, and other medical staff. It was there I received hands on training and solidified my desire to become a nurse. This fall, I will attend Alcorn State University in Mississippi where I plan to graduate in four years with a Bachelor of Science in Nursing. I hope to eventually work in the Labor and Delivery department of a research hospital so I can pass my knowledge on to other students with the same passion. Currently, I am in the process of becoming a Certified Nursing Assistant (CNA) and I volunteer weekly at Life Care Center of Omaha. With my CNA, I will work-part time during college to get experience and create a network of healthcare mentors. As I embark on my new journey to college and nursing, I know that no matter what I face, the lessons I learned as a member of the Eureka! family have provided me the drive, focus, and motivation to help bring new life into world, and will allow me to overcome any obstacles I face. For me, success is not an option, it is a way of life. 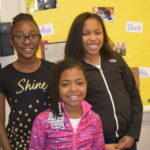 Posted on May 1, 2018 by Girls Inc.
Posted on November 14, 2017 by Girls Inc.
My name is Regan Fulton, I’ve been a Girls Inc. Member since age five. Yesterday was my birthday. I’m ten years old. 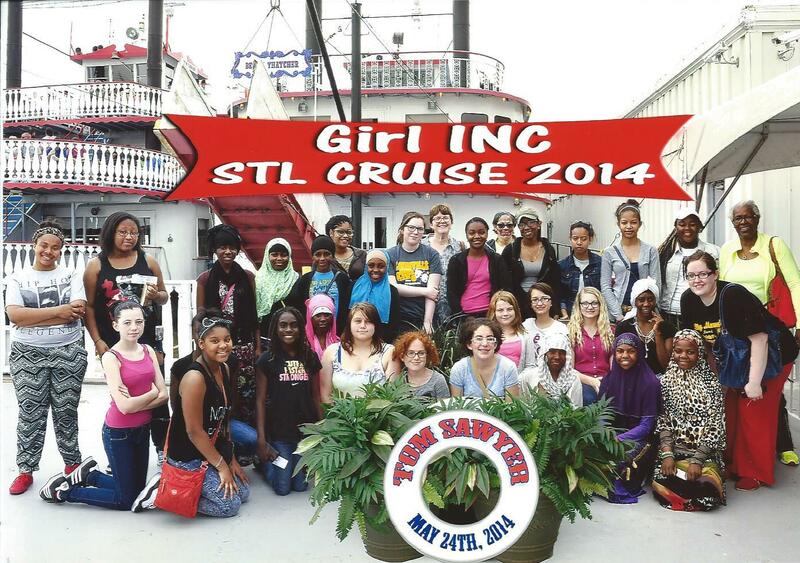 Being a Girls Inc. girl means I get to participate in a lot of different programs and clubs. 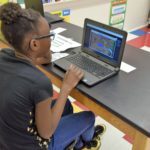 I’m in soccer, robotics, sparks and my favorite – the coding club. Last year, Ms. Beth was signing up girls for this club. She started with ten-year-olds for her first session and I was only nine. I really wanted to be a part of the club and I knew that I was smart and good enough to be with those older girls. 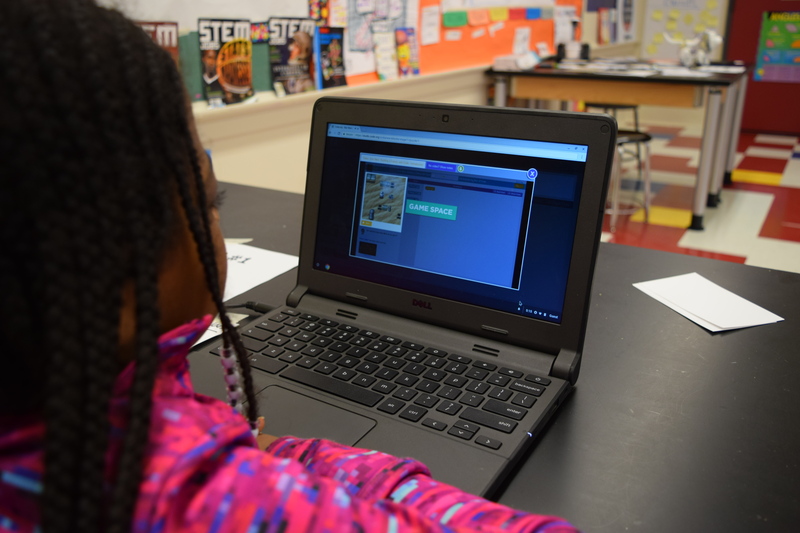 I find coding very fun because you get to use all four subjects of science technology, engineering, and Math. 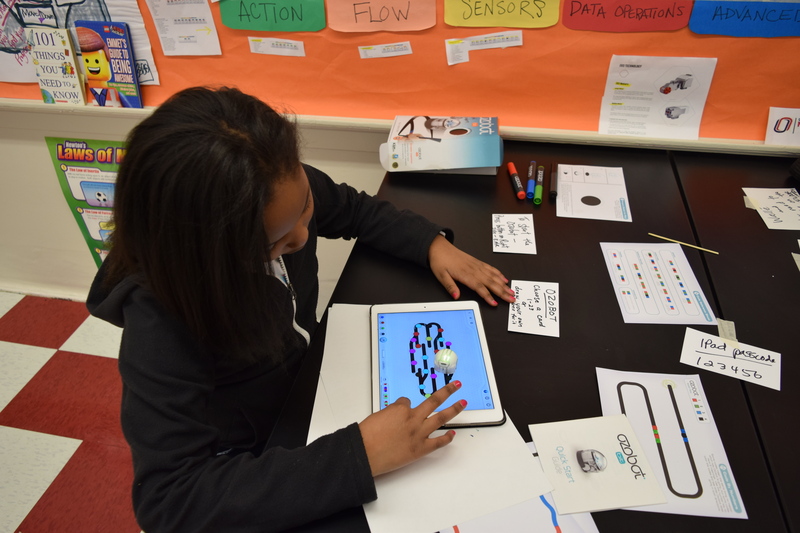 During the coding club we programed Sphero’s and ran them through different obstacle courses, coded bracelets with our names on them for Valentine’s Day, programmed an EV3 Mindstorm robot during Lego League Club and played scratch games. I really like playing coding games. 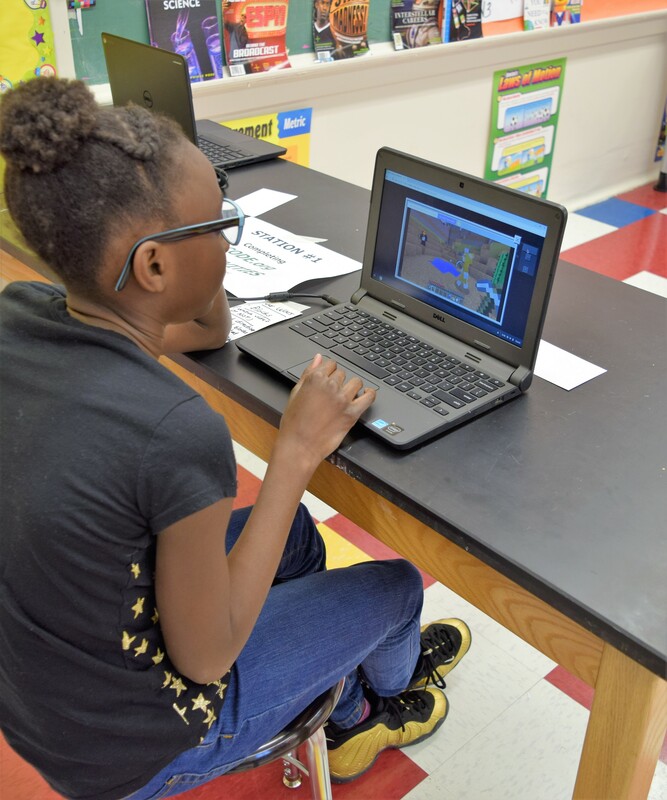 My goal is to keep practicing and getting better in coding because when I go to college I want to be a teacher. 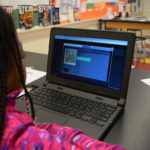 I want to teach people what coding is and why it’s important for our future. 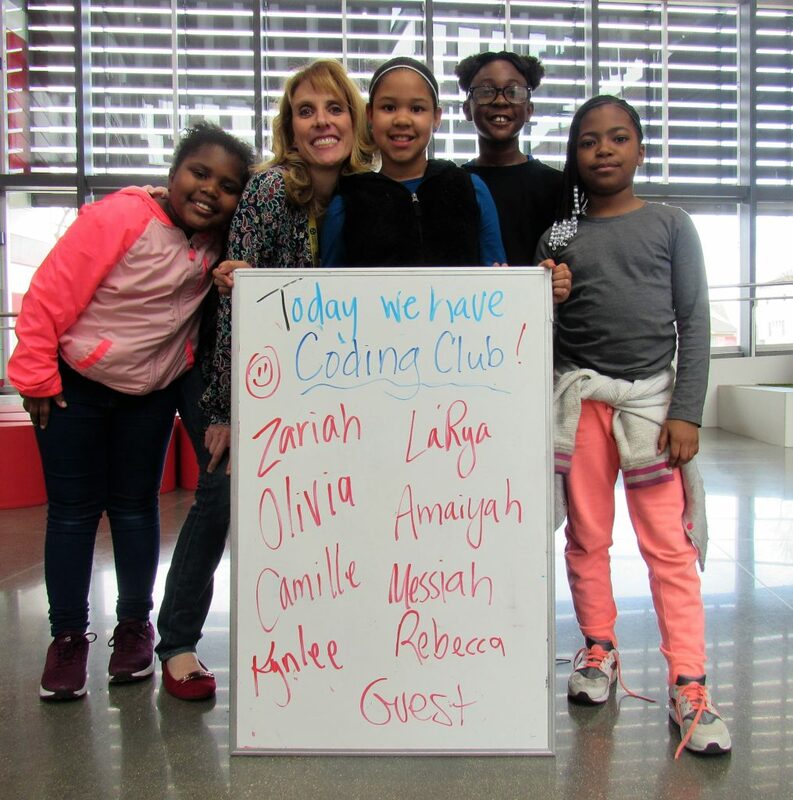 So, if anyone in this crowd today would like to come and help us continue to learn how to code please e-mail Ms. Emily (emwaja@girlsincomaha.org) because we are looking to grow our coding team. Without teachers we can’t grow. So please, come code with us. 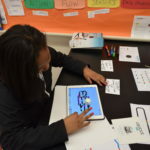 Thank you for believing in our coding future. Posted on November 18, 2016 by Girls Inc. 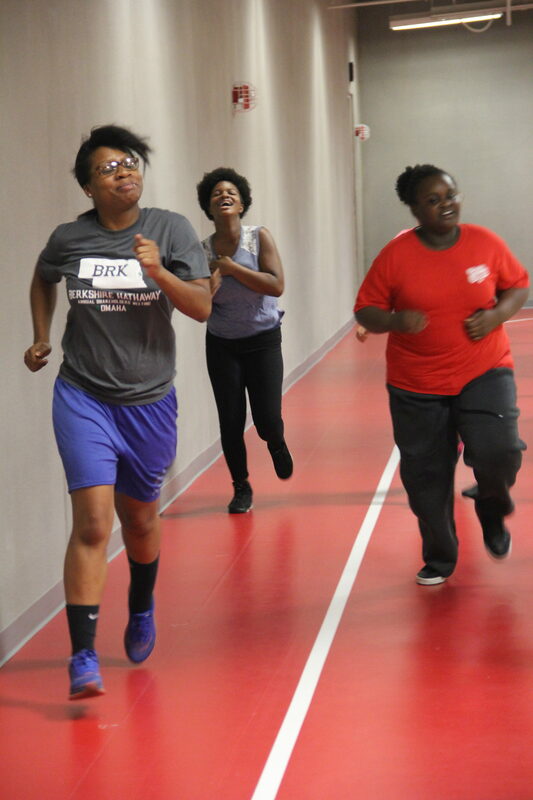 The idea behind Fitness Club was to create a little extra motivation to get moving. I did not take any body composition measurements like weight, % body fat, height, VO2 max, etc. 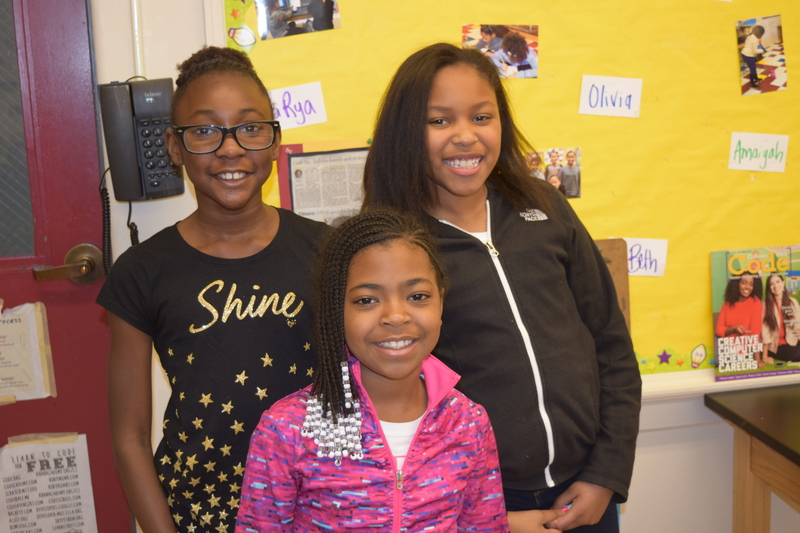 My only expectation was that the girls showed up on a regular basis and had a good attitude. The class was only supposed to last for 8 weeks; however, the girls kept coming and I extended the club for two extra weeks. 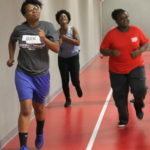 Fitness club met almost every Tuesday and Thursday throughout the months of September through November. 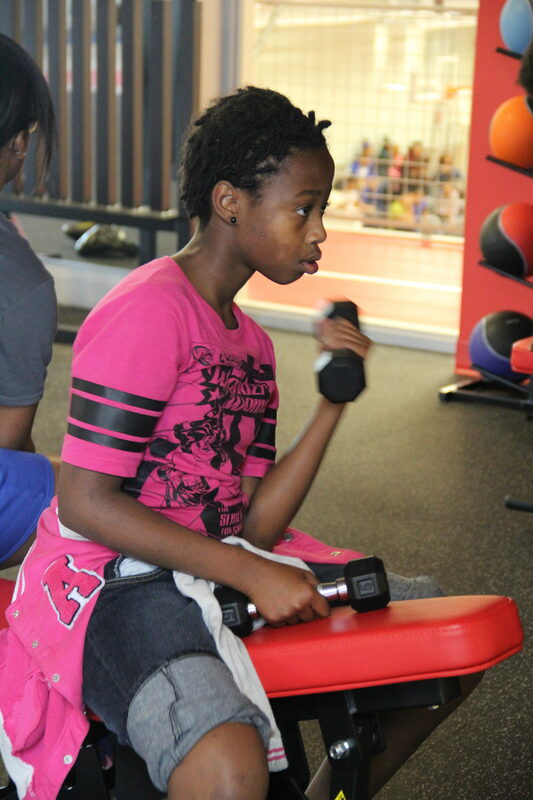 For me, my goals were to make the participants more comfortable in a weight room setting. I think everyone has had an experience where they have felt intimidated or uncomfortable working out, especially in an unfamiliar weight room. I taught the basic etiquette for the workout equipment and cardio equipment. Almost the entire first session was spent just on technique and teaching the core movements that would be used in Fitness Club. After this, the workouts started coming. As an instructor of the club, I learned a lot in the process of leading this club. 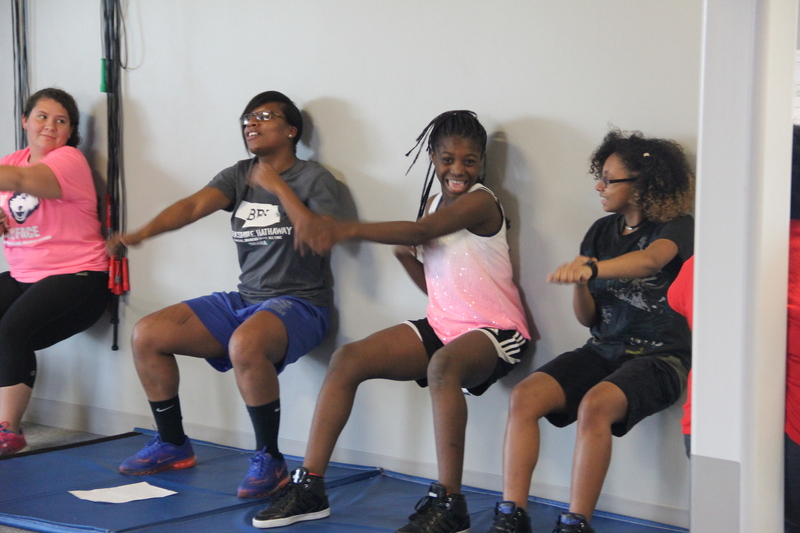 One of my goals for the next Fitness Club is to start each session with an open discussion on maintaining a healthy lifestyle after they graduate from high school and Girls Inc. Now, I will lead a short session of Fitness Club for the Kindergarteners – 3rd Graders. This will be a fun and exciting new challenge. 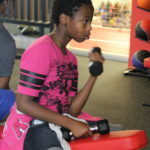 Fitness Club for the teenagers will start back up again after the New Year. Posted on September 18, 2015 by Girls Inc.
My name is Queen Freeman and I’m 12 years old. I’ve been a Girls Inc. member for 5 years. Being a Girls Inc. girl is very enjoyable. You get to make friends who are not in the same school as you and you get to sign up for a lot of different programs and opportunities. I have had a chance to participate in very many programs such as Techbridge, Art club, B.U.M.P (Bike Union mentoring Project) and much more. This year my most favorite was the book club. During book club we were able to read: Sins of the Father by Theolonious Legend and Teenage Blues and Teenage Blues 3 both by various authors. Being in a book club I’ve been able to work with my friends in book discussions and share how the stories impact us and how we are able to relate to these stories. Sometimes you go in thinking this book is going to be boring and not make sense, but you start reading and you gradually find yourself so focused and attentive that you want to read the book in a day. Because of book club I now have better grammar and I’m more likely to pick up a book and read for fun. It is amazing how a book can capture your imagination and take you on a journey while at home or at Girls Inc. Everyone should join a book club. My name is Teriana and I’m 9 years old. 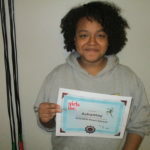 I have been a part of Girls Inc. for 3 years. In those 3 years, I’ve been able to attend a lot of fun field trips to the planetarium, baseball games, swimming and shows at the Rose Theater. This year I’m very excited to continue to be a part of a book club. We call it Read and Feed because we get snacks as we read. This summer we read, The Name of this Book is Secret by Pseudonymous Bosch. The main reason I enjoy book club, is because it is quiet and very relaxing. I get to practice how to pronounce new words that I’ve never seen and learn how to express myself using those words. If you have never joined a book club do it!! 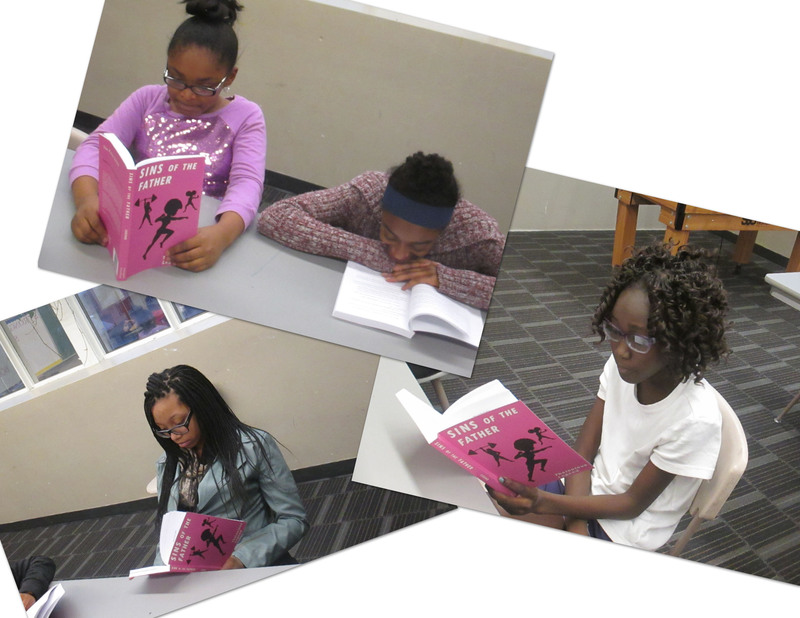 OR join our Read and Feed at Girls Inc. You. Will. Love. it. 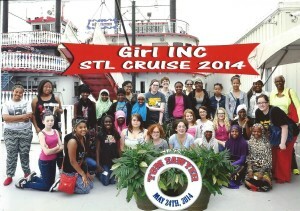 Posted on June 13, 2014 by Girls Inc.
Read the Journal Excerpts from the Girls Inc. 2014 trip to St. Louis, Memphis, New Orleans, Little Rock, and Branson. It may take a minute to load – it’s a big document (it was a BIG trip!). Well over a year ago I had expressed an interest in the mentoring program at Girls’ Inc., but this was prior to Megan Oberymeyer’s wonderful coordination of the group. So I must admit I was a little hesitant to get involved when Meghan contacted me last fall–until I had a very warm and open conversation with her. 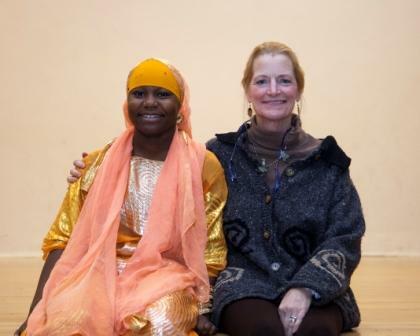 I attended an orientation of sorts with her last October and she did her magic and matched me with a wonderful 14-year-old girl, Amina Abdullahi (it only took me a few weeks to pronounce this correctly), who came to the United States with her family from Kenya when she was 7 years old. 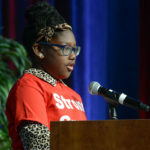 She is in the 8th grade at Bryan Middle School and has 6 brothers and sisters. She loves art and tacos. This is basically the information I had before meeting her in late November. Meghan set a meeting up with Amina, her, and myself. 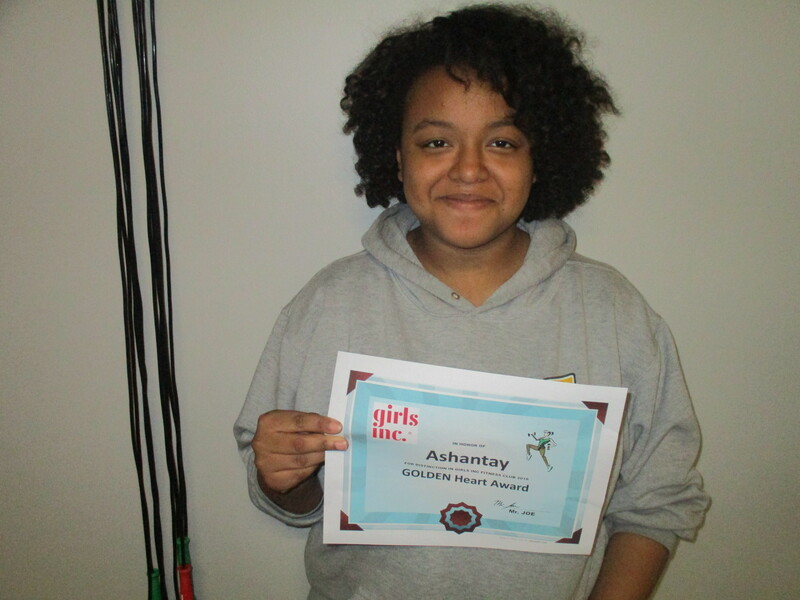 I had never been to the South annex of Girls’ Inc. before so I was actually a bit nervous about the whole thing but Amina is such a warm and friendly young lady that it went “swimmingly”. The first weekend in December the local “Hot Shops” artist coop has an open house; so remembering Amina likes art, I asked her to go with a friend and me. It was interesting to see what some of the current local trends are with some of the artists and I think Amina enjoyed it. In an effort to keep communication going, I would call her a couple of times a week to see how she was doing. She talked a lot about her art classes in school. They were studying Georgia O’Keefe and she was very interested in the various aspects involved in the flowers. I was impressed with her art teacher’s assignment for the students to draw all the different parts of the flowers, before drawing the entire thing. Amina enjoyed this too. After seeing the movie, “Les Miserables,” I thought it would be a great movie to take Amina to so we had coffee/cupcakes at Jones St. and went to the movie at Aksarben. Halfway through the movie, I was worried that a 14 year old might be a little bored with it, but at the end she said she loved it. A few weeks later, Amina, her sister, and I went to the opening weekend at Film Streams of “Chasing Ice,” a documentary about global warming and the frightening meltdown of the glaciers. Both of us were blown away by the photography, and I was interested in exposing her to the global warming issues. I was pleased to learn they have been talking about it in their science classes. We both enjoyed going to the Mentor/Mentee dinner at Olive Garden, compliments of Girls’ Inc. I picked Amina up early and brought her to my house (not far from Olive Garden) to hang out a little bit and yak. I had also gotten an artist’s toolbox and filled it with some odds and ends that an artist friend of mine had suggested because Amina had talked about doing some drawing at Girls’ Inc. and I would like to encourage her to continue to embrace her talent. She was so thrilled. Also, I wanted her to have the chance to meet my two dogs, which are such an important part of our family but boy, did I learn another cultural difference! Amina can’t touch dogs because they view them a lot like pigs—it is not totally clear to me, but I respected this and kept the dogs outside. All in all, I have enjoyed getting to know Amina better. I have two children entering adulthood so at 58 years of age, I was not sure what I could really offer but I have quickly learned how much we both can teach one another. Amina has begun calling me regularly to share things from school (she made honor roll!, and is participating in an art show competition at school). She even called me after a weekend I was out of town just to say she had missed me, which about blew me away. I look forward to the new experiences ahead. 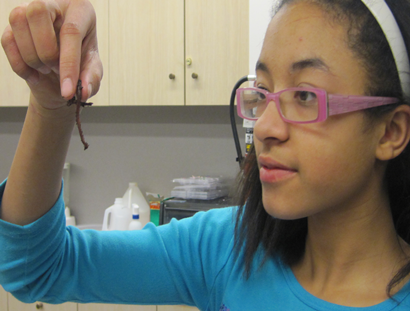 As part of the TechBridge program, Girls Inc teens have been making compost. 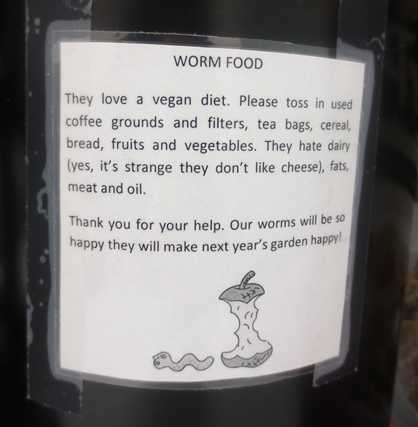 Girls and staff have been collecting and preparing organic materials (egg shells, coffee grounds, fruit peels), and they haven’t been doing it alone: they’ve had a little help from some worms. 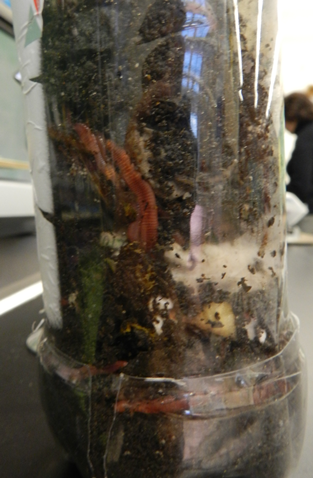 Once the worms have finish eating their “worm food,” Ms. Jen will send a fertilized soil sample to a soil testing company to analyze its mineral content. 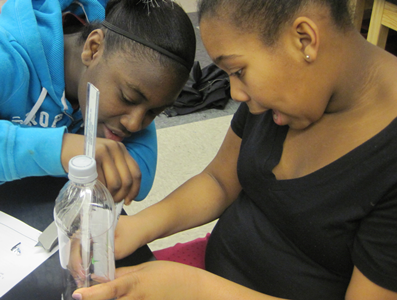 In the spring, girls will use the compost to fertilize plants in the Girls Inc garden. 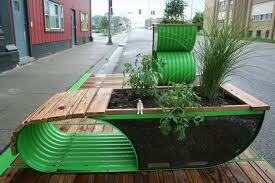 They will also grow plants in unfertilized soil, and in soil fertlized with manure. This way, girls and staff can observe compare the effect that different fertilizers have on plant growth. Check back to see our finished compost! The girls watched this video about Johan Mowry being bullied: http://goo.gl/F2lvI. Then they wrote advice and letters to Jonah. As your friend, please don’t listen to mean people. You should not let them get to you. Tell a teacher or talk to a friend. You are stronger than that so JUST BE YOURSELF. It is OK. Believe it or not you are not the only one that gets bullied. It’s not fair for the victim of the problem. They probably bully you and other people to make them feel better about themselves. Sometimes I get bullied about my hair, my skin, my clothes, but then I met some friends and they stood up for me. I stood up for them. And yes! I did kinda bully that’s only because they hurt me so what I say is it’s “Back fire time!” but my friends would say “NO! It’s not worth it.” I took their advice and whne I stopped, they stopped. It will be OK. You are who you are. Don’t care what other people say. You are fine the way you are. You can just ignore them and come play with me.